Formed in the latter half of 2016, STRANGLE WIRE are a very well seasoned and experienced collective, featuring members from CONDEMNED, THE OBSCENE MACHEINE, ZOMBIFIED, HELPLESS, LESSHELP, WAR IRON, ONCOLOGY, FUCKHAMMER, PUTREFY and more. STRANGLE WIRE released their debut video/single for the track ‘The Games They Play’ through their facebook page on the 3rd February 2017 and then a second video for ‘The Narcissist’ on April 10th. Both tracks were then officially issued on 7″ vinyl as the “Narcissism” single available through Grindscene Records on the 17th June, 2017. The Belfast 4-Piece Death Metal Bruisers are now set to release their latest effort, “The Dark Triad”, on March 23rd via Grindscene Records, which is preceded by another music video for the punishing track ‘Psychopathis Blue’ (check it out below), which continues the bands devastatingly brutal and groove laden Death Metal Assault and confirms the bands potential of being more than capable of going toe-to-toe with the best of the Worlds death metal scene. Comes as a 6-Panel Digipack. Photos by Exposing Shadows Photography. Artwork by Tom Bradfield of Grindethic Records. Imperative PR are excited to be able to announce a new alliance with some truly formidable purveyors of extremity. 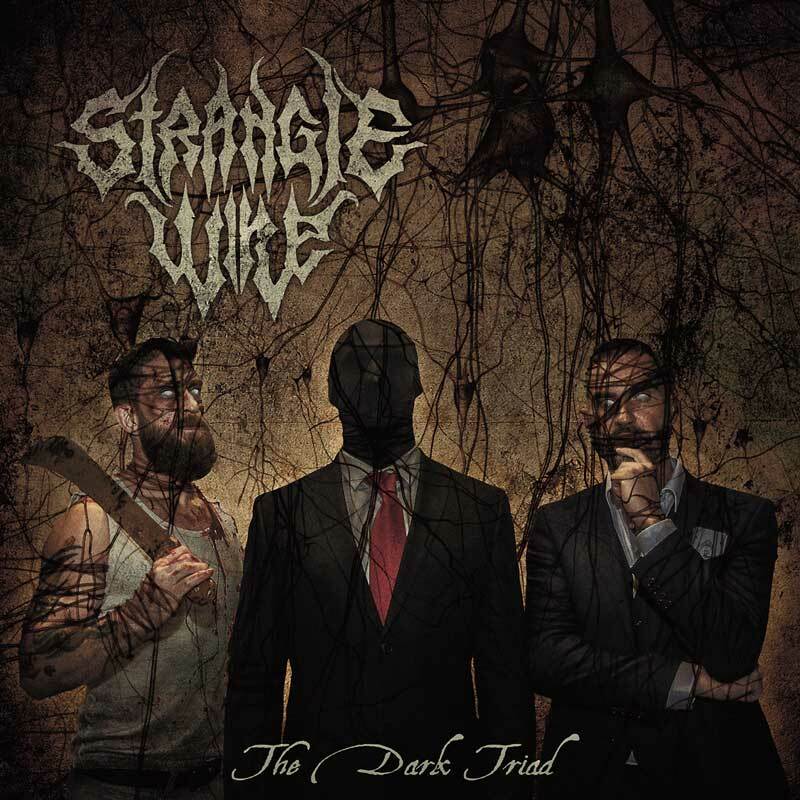 Hailing from Belfast, Northern Ireland, STRANGLE WIRE have adopted the descriptive tag Psychological Death Metal – and there could be no more fitting label for their savagely intense songs that explore the darkest recesses of the human mind. Their debut album, “The Dark Triad”, is divided into three chapters entitled Narcissism, Psychopathy and Machiavellianism with each strand of insanity being explored to a soundtrack of supremely heavy death metal. The album, which will be released on March 23rd by Grindscene Records, was recorded at Skyhammer Studio with the assistance of producer Chris Fielding (HOODED MENACE, PRIMORDIAL, WITCHSORROW, etc.) and the results are predictably superb, combining staggering power and clarity with a fear-infused underground atmosphere. 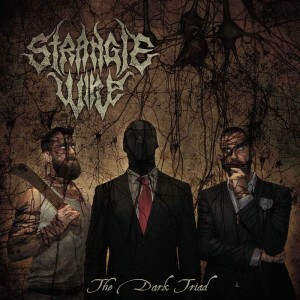 The STRANGLE WIRE story began just one year ago, but the experience within the band’s ranks has allowed them to progress at a breathtaking rate and by June of last year they released their first, limited edition, vinyl EP. The tracks from that EP, described as reeking of “darkness and death” by Wonderbox Metal, now form the first chapter of The Dark Triad. STRANGLE WIRE have recently played at the ‘Decimation Fest’ in Madrid (featuring Haemorrhage and Disavowed) and alongside BLOODSHOT DAWN at the recent ‘Northern Deathfest’ in Belfast. And with other appearances imminent at our very own ‘URBAN ASSAULT’ Metal Fest here in Cork on the 24th February, at this years ‘Las Vegas Deathfest’ (alongside DYING FETUS, INCANTATION and CEPHALIC CARNAGE) this coming May and also at ‘Snuff Fest’ 2018 in London in September, STRANGLE WIRE are ready to take their gospel of death and insanity to the world.